First graders completed a STEM challenge and incorporated the EDP (Engineering Design Process). 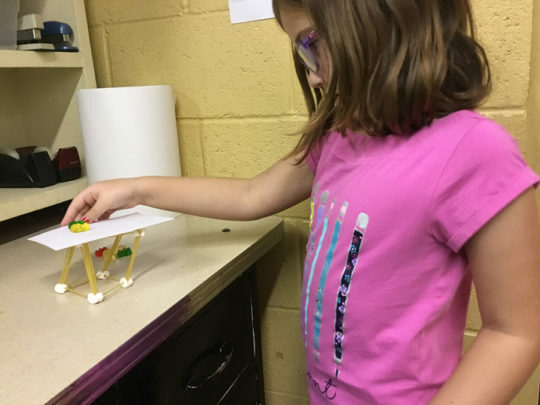 Focusing on their current unit of study – Animals, corresponding with their upcoming FIRST GRADE PET SHOW, they created cages for Gummy Bears! 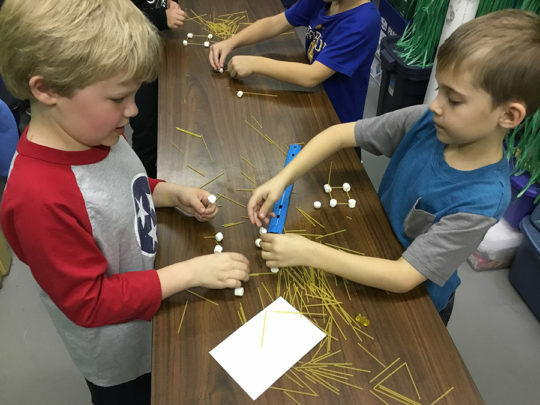 Students designed cages (creating working models) and built them using dry spaghetti strands and mini marshmallows. They tested their designs (evaluating their designs) altering the structures, when needed, to improve stability. Third graders continue their study of How are Animals classified, and What Body parts provide Support. Working through the Engineering Design Process, as they completed their STEM challenge, we observed actual animal spinal columns and vertebrae. 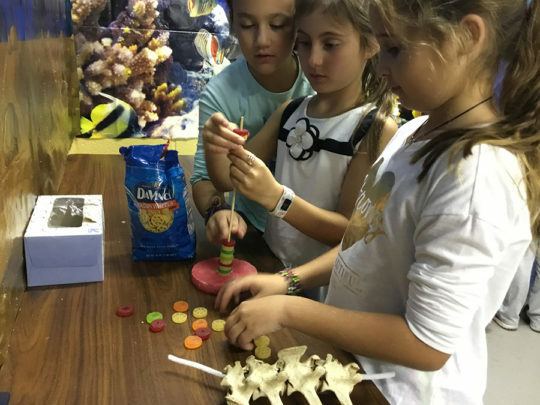 After exploring existing designs, students designed their own models of vertebral columns using wheel macaroni for vertebrae, and soft gummy savers for discs. They threaded them on kabob skewers. While evaluating their models, they determined that they did not accurately represent actual spinal columns. To improve their design, they used flexible pipe cleaners, which provide movement for the spines. 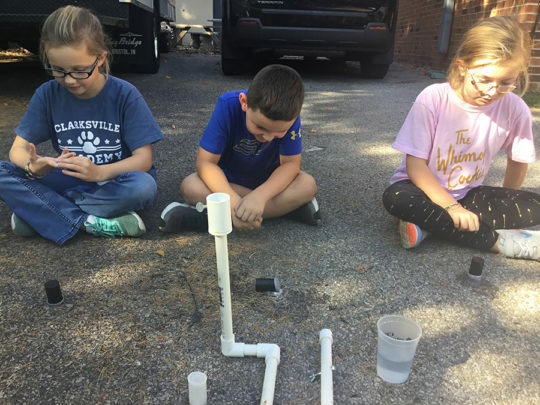 Second graders completed a STEM challenge in Science Lab. They have recently completed their lesson on How far can different things Move? We investigated how angles and ramps affect motion. We used an effervescent launcher and change the angles to measure distances traveled. We varied the amounts of water and effervescent tablets to see the effects. Students also “launched” their own film canisters. 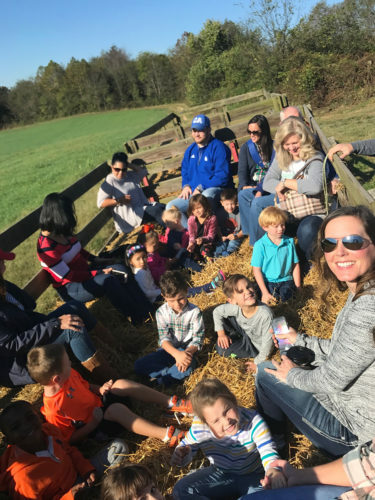 Kindergarten enjoyed their annual trip to Patterson Place Farm. 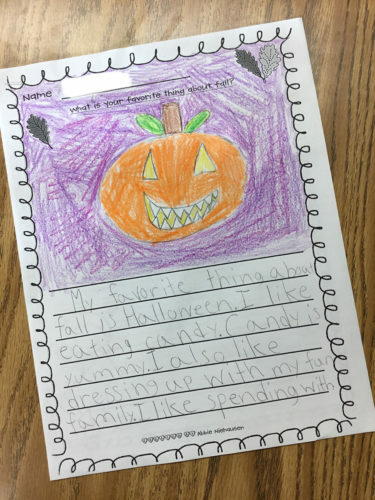 Throughout the week, the second grade students created a writing piece describing their favorite thing about fall. The students practiced the writing process by brainstorming, creating a rough draft, revising, and editing their work. The students explored their creativity as they created an illustration to go along with their writing. 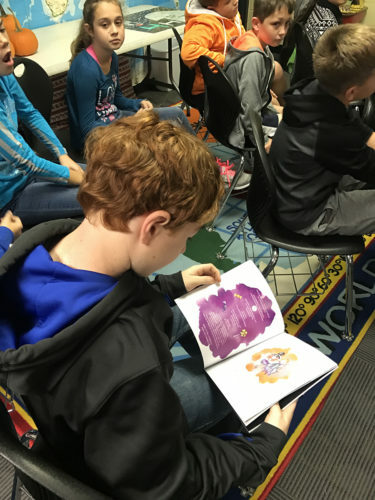 4/5 FUSE students enjoyed a visit from children’s book author and publisher, Cathleen Roach. 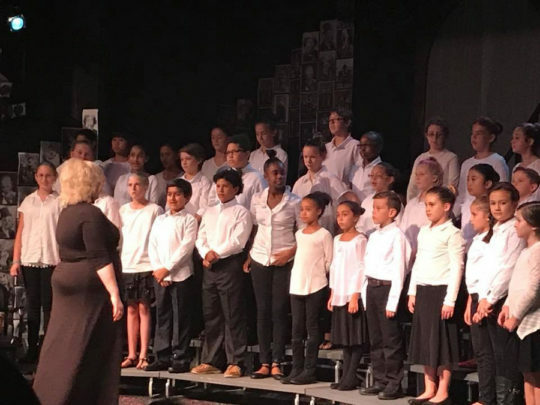 During the visit the students learned about her journey as a writer, as well as the process of publishing a book. 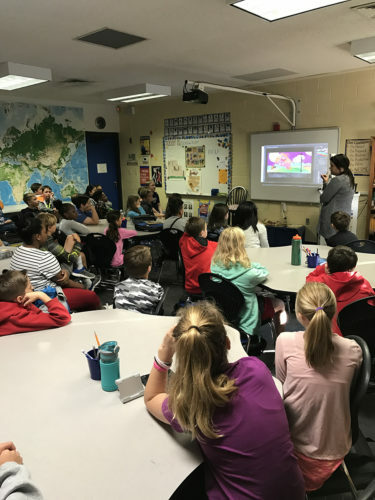 Mrs. Roach shared her newest book, Ike Has a Fright, with the students. 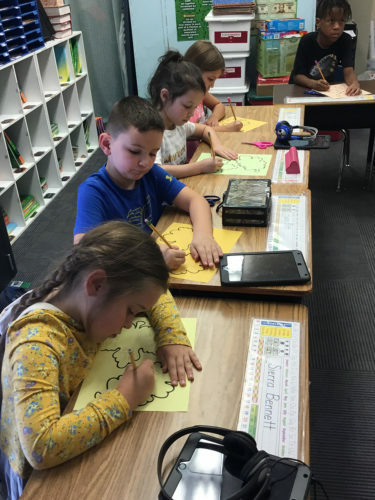 Second grade Students worked on adding multiples of 10 to two, three, and four-digit numbers. 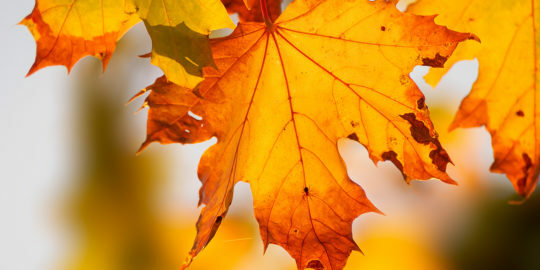 They wrote their problems on leaves. 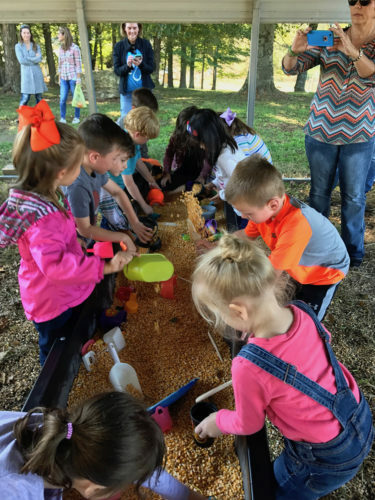 These second graders are falling for good math during this autumn season! 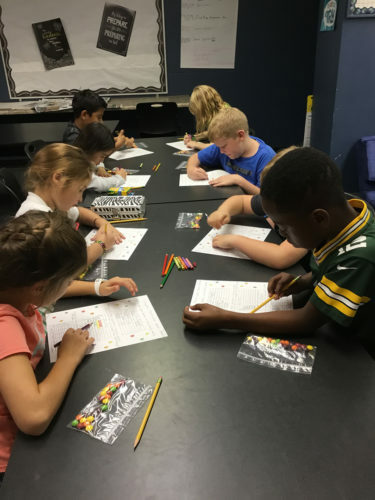 Third grade students used skittles to organize their data on a tally table. They tallied skittle flavors. 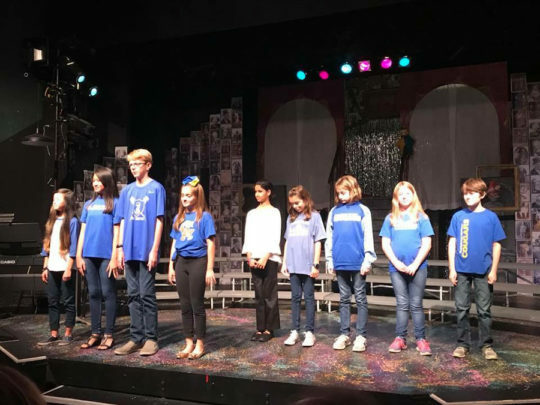 Then, they used the data to graph horizontal bar graphs and also vertical bar graphs. It was a fun, edible activity in Math Lab!